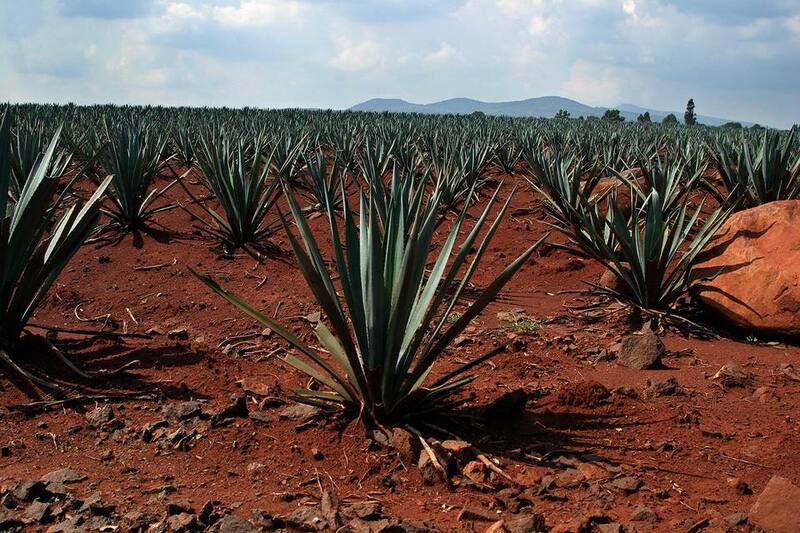 Agave Fields at San Nicholas Distillery- Tequila Corazon. In 2006, I had the opportunity to tour tequila country with the Tequila Regulatory Council. On one of the bus rides, we were told the legend of how tequila came to be according to the Nahuatl (commonly known as Aztecs). The story below recounts this legend as I heard it from Brenda Martinez of the Tequila Regulatory Council. It should be noted that, as legends often go, there are a number of stories, this is just one of them. One day Quetzalcoatl, the 'Feathered Serpent," was tired of this treatment and he decided to do something about it. Quetzalcoatl believed in honor so he ascended to the sky to fight the evil goddess Tzintzimitl and he started to look for her. He did not find the goddess but instead found her granddaughter, Mayahuel, who was kidnaped by the evil goddess. Mayahuel is the goddess of fertility, she was often portrayed as the goddess with four hundred breasts. When he found Mayahuel, he fell in love with her. Instead of killing the evil goddess, he brought Mayahuel down to earth to live with him. When the evil goddess found out, she got extremely mad and started to look for them. So they were forced to run from one place to another to hide from her. One day they decided that because there was nowhere else to hide they would become trees. There were two trees, one beside the other one so that when there was wind their leaves could caress one another. They lived like that, but the evil goddess kept up her search and sent out her light-devouring stars and finally, they found them. The evil goddess came down and there was a big fight in which Mayahuel was killed. When he found out, Quetzalcoatl was very, very mad and of course very, very sad. So he buried the remains of his lover then flew to the sky and killed the evil goddess. So the light came back to the earth but Quetzalcoatl had lost a loved one. Every night he would go to her grave and cry and cry. The other gods saw this and thought they should do something for him. A plant began to grow on the burial site and the gods gave special properties to that particular plant. They gave it some minor hallucinogenic properties which would comfort the soul of Quetzalcoatl. From then on he could drink the elixir that came from that plant and have comfort. That is how the Nahuatl believed that the agave plant came to be and was given the properties we now find in tequila to comfort the soul of those who have lost someone dear to their hearts.